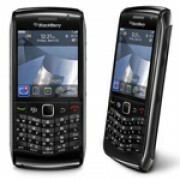 Unlock BlackBerry Pearl 3G 9100 - Safe IMEI Unlocking Codes for You! Unlock BlackBerry Pearl 3G 9100 Handset! In case your Pearl 3G 9100 doesn't ask for the code and there is no designated field to enter it, please DON'T PLACE ANY ORDER, contact us first for support. Start to unlock your BlackBerry Pearl 3G 9100 device with our 100% safe online solution! The process is simple and works 100%! Our unlock codes works for the latest models such as: BlackBerry Bold Touch 9930, Torch, Pearl, Curve, Storm and others! View here The Full List! Please contact us if your Blackberry Pearl 3G 9100 is CDMA ( No SIM card slot) or needs to be unlocked to another CDMA carrier. We will provide you with a SPC or MSL code that will allow your CDMA Blackberry to work on another CDMA Network. How to Unlock BlackBerry Pearl 3G 9100 Phone - Tutorial! Please find bellow a step-by-step guide to follow in order to unlock your BlackBerry device. The IMEI of your handset. The country and network where your BlacBerry Pearl 3G 9100 phone is SIM locked. Remember we need the original country and operator of your phone! Your email address where you want to receive the code! When you receive the code, all you need to do is to insert another SIM card into your phone and wait for it to read “Enter unlock code” or “Pin Network Unlock Code”.